Review: First of all I absolutely adore this series. When I read The Selection I loved it because the story was something new (even if some of the names are pretty lame). Do you know what bothers me? If the king's and queen's child is a boy they throw a big Selection for him to find the girl for his taste but if it's a girl she has to marry a son of another kingdom... this.is.terrible. Princesses should have a Selection too, just imagine 35 guys all for you. Okay now I'm getting to the point. 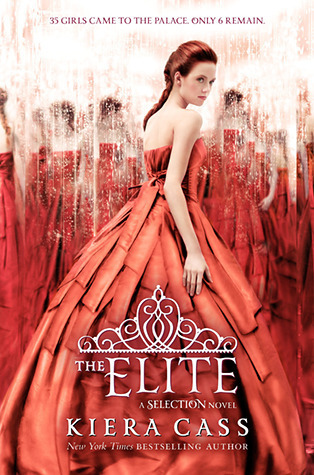 In the second book the story of The Selection continues with the 6 girls who Maxon (cough cough, or more like his father) chose to be the Elite. There's Marlee, she's a sweetheart, a true friend, so of course everyone love her and she has a lot of supporters. Elise who has relations in Asia which can be good for the kingdom but she agrees with everything Maxon says and she doesn't have an opinion. Kriss who's a real lady and who grows closer to Maxon after a while, this, of course, makes America envious. Natalie who's very pliable so she is the King's favorite, she is friendly and quiet. And of course there's America who isn't afraid to speak her mind and this is why Maxon loves her. The story was still good, like in the first book, just a little bit predictable at some parts. Most of the characters are awesome, I happened to like Kriss and even Elise for a little but I absolutely can't stand Aspen most of the time. He was like a lovesick puppy. After the Marlee incident a normal people wouldn't do the same thing... the worst is they didn't do it before so why start it after, when it get more dangerous? Yeah Maxon makes mistakes too, as well as America, still I love these two together. After what happens with Marlee America pushes Maxon away even if he wants to talk things out (he should have made America listen to him, you have to fight for what you want), so Maxon grew closer to Kriss because she has a sweet side too. I didn't like that this made America jealous... I mean she made this happen so she has to live with it. What we learned about the King was a shock to me... I don't get how the queen didn't saw this. - when Maxon and America were locked up together, so they could talk things out. “America, there’s no question that you’ve had my heart from the beginning. By now you have to know that” - Hope that it will stay like that in the third book. They MUST BE TOGETHER! I loved these books too. 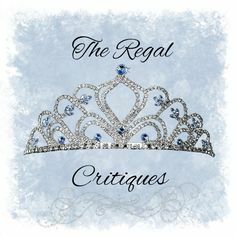 Thank you for commenting on my discussion post for this series. I have replied over there :) I didn;t hate Aspen, I just felt really sorry for him, and did kind of want him to go away because I was Team Maxon from the start. I hated what happened to Marlee in this book, and I also really didn't like the Maxon/Kriss thing. I couldn't even feel sorry for him, I thought reading The Guard will make me like him but it didn't do anything good at all. I think you said in your post that you haven't read it yet? Sorry if I got it wrong. I think Maxon finding comfort in Kriss was normal because America wouldn't talk to him for a completely stupid reason but I still don't like Kriss. I think America had no reason to act like a jealous girlfriend afterwards, she knew that one way or another Maxon will have to choose someone plus she was with Aspen so she had no reason to judge.